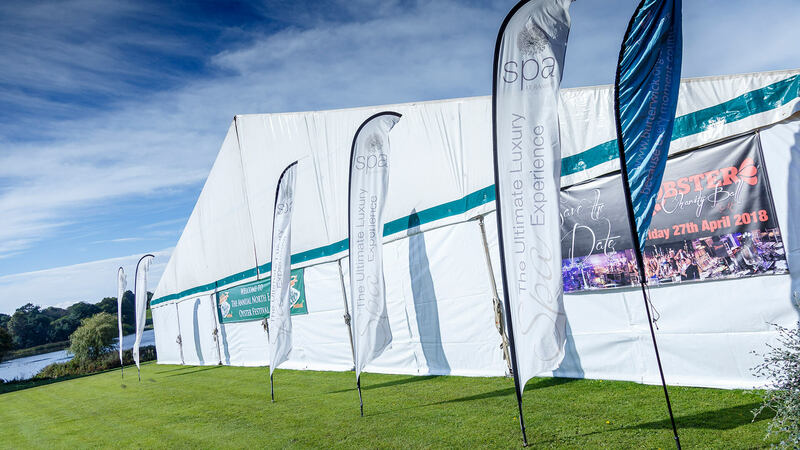 North East's number one supplier of marquees. Established over 30 years ago, James Fletcher have earned their reputation as the North East's number one supplier of marquees. Based in County Durham supplying equipment in Newcastle, Carlisle, Sunderland, Middlesbrough, York and surrounding areas. With an acute eye for detail and extremely accurate planning our highly trained team deliver excellence each and every time. Beautiful, high quality and versatile marquees perfect for your dream wedding or to make your garden party a success. 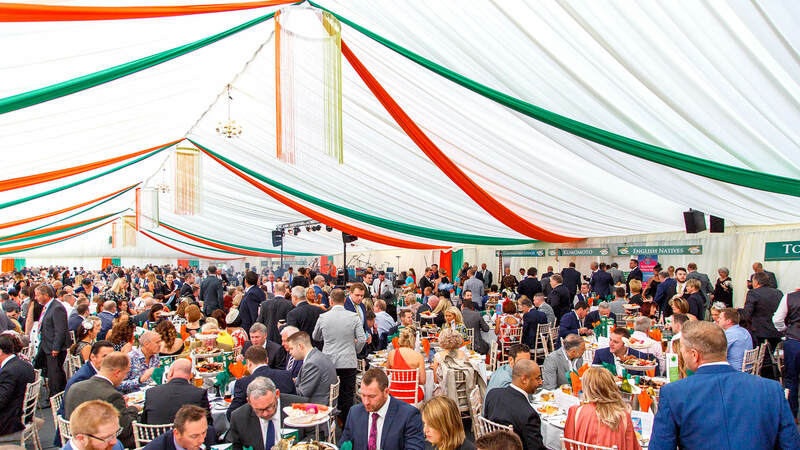 Corporate Event Marquee & Pavilion Hire In The North of England. Providing trusted service to show organisers for 20 years. 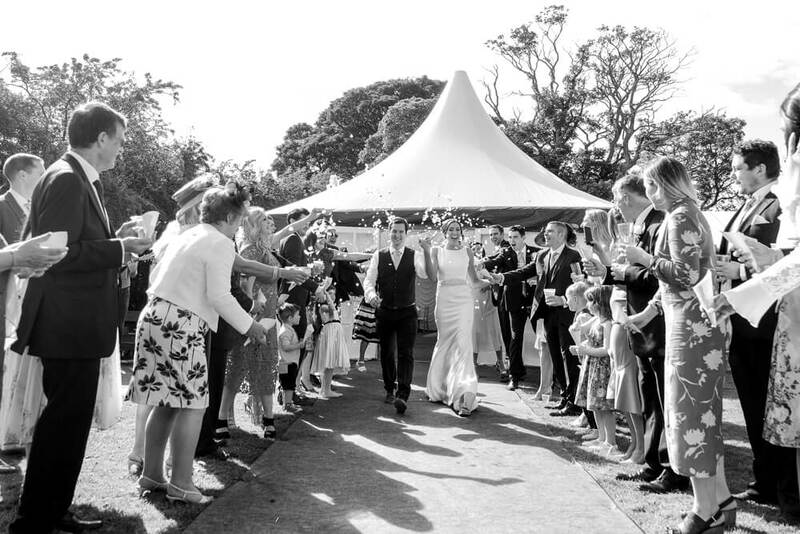 James Fletcher Marquees was established in 1981 by James and Mandy Fletcher. James grandfather had been involved with supplying PA systems for carnivals, shows, etc. where James had noticed that everywhere they went there was a marquee. "Fletchers were absolutely fantastic from start to finish. Peter provided excellent advice and had vast knowledge of what works and what doesn't which is exactly what we needed! The team who erected and took the marquee down worked so hard and were so professional. Overall, an excellent service that I would definitely recommend to others." "Fletcher Marquees could not have been more helpful, from the initial planning and helpful laying out of the marquee to the guys who come and put up the marquee. Everything was of first class quality and nothing was too much trouble. We would recommend Fletcher Marquees as being the most efficient, professional and personable team. Thank you so much." The client wanted a ‘big top’ feel marquee to host a joint 21st and 60th birthday party with a blue colour scheme. They required space for both a band and a DJ. 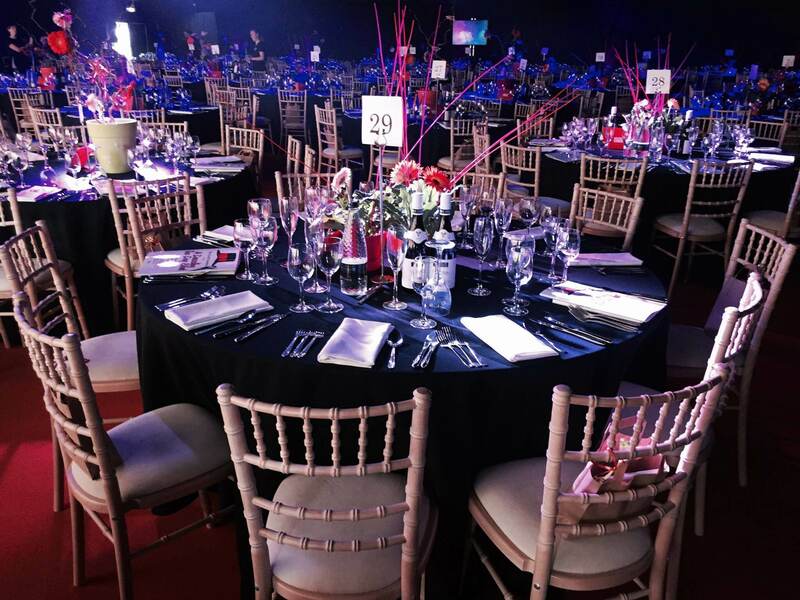 The client asked us to supply a marquee for five events on consecutive nights with varying numbers of guests. The marquee was to be used for five Durham University Students Summer Balls. 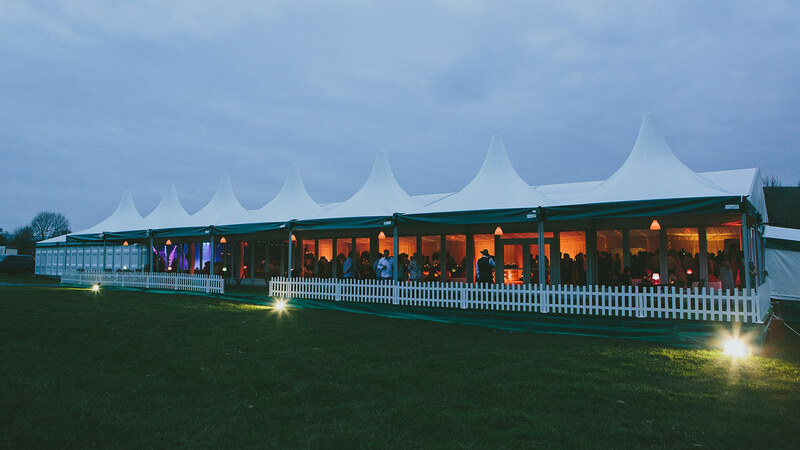 The client asked us to supply a marquee for five events on consecutive nights with varying numbers of guests. The marquee was to be used for five Durham University Students Summer Balls. The site was the Derwent Manor, near Consett and the client wanted minimum disruption and noise for the guests staying at the hotel. The client organised his own power supply. 55m x 25m frame pavilion with ivory inner lining suitable for 1000 guests – the largest function. Gold Gilt bentwood chairs and round tables to suit. There was a separate food prep marquee for the hotel staff to use. The Executive toilet units were supplied by Loos4hire of Bishop Auckland. To ensure that there was no inconvenience to hotel guests we worked to the client’s specified schedule, arriving around 8:00am and off site by 16:00pm. The client wanted a marquee for up to 120 guests on a farm site bordered on all sides by trees. They wanted space for a ‘chill – out’ are within the marquee and suitable furniture and a feature entrance. The bride preferred an inner lining in a neutral colour without a coloured trim. Their own gazebo was to be used for the outside bar. A 6m x 6m pagoda with double glass doors formed the feature entrance with PVC window walls to one side. 2 three seater white leather sofas were placed within the pagoda and a table for guests to leave cards, etc. before going into the main marquee. We advised on and organised the generator and the client distributed the electrics thenselves. The client cut back the trees tyo accommodate the marquee. Small vehicles were used because of the limited access to the site.